This transitional love seat is perfect for snuggling up with a loved one or stretching out in comfort on your own. Both of the seat and back cushions are removable and reversible, ensuring longer lasting comfort and support. 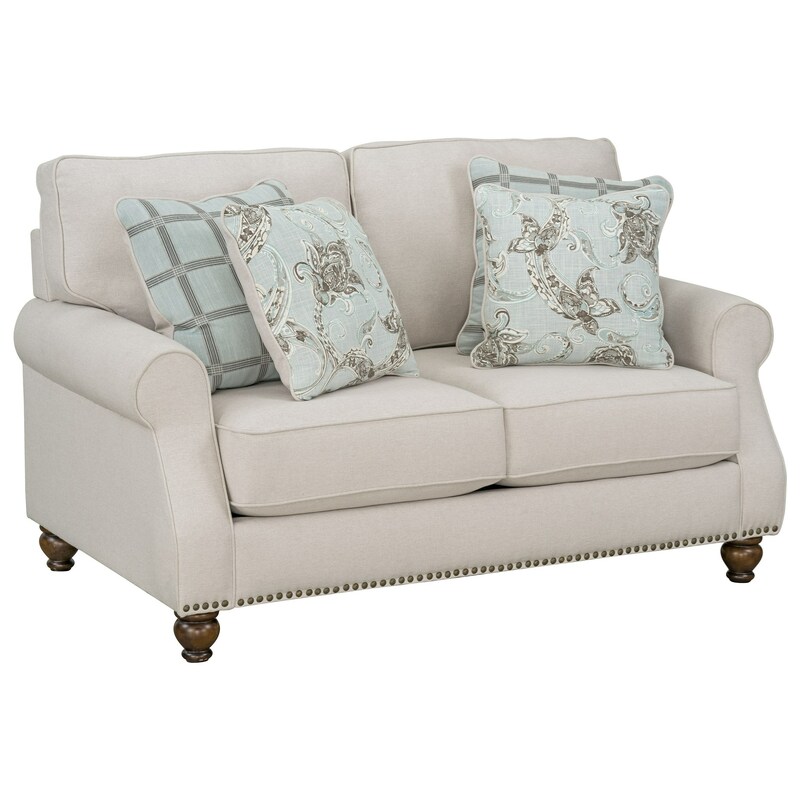 The four included accent pillows add to this comfort while the rolled arms, nailhead trim base, and classic bun feet give off an elegant charm that is ideal for any living room. The Angelina Transitional Love Seat with Nailhead Trim Base by Standard Furniture at Zak's Home in the Tri-Cities, Johnson City, Tennessee area. Product availability may vary. Contact us for the most current availability on this product. Mixing classic characteristics with more modern features gives this collection a unique transitional style that is sure to enrich a living room for the better. 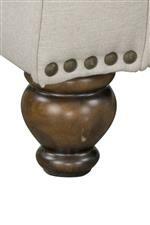 Each piece features a subtle traditional flair while sitting on top of bun feet and being adorned with an elegant nailhead trim base. Yet, the plush reversible back, comfy cushioning, included throw pillows, and rolled arms keeps things casual and cozy. Relax in both style and comfort with these transitional pieces. The Angelina collection is a great option if you are looking for Transitional furniture in the Tri-Cities, Johnson City, Tennessee area. Browse other items in the Angelina collection from Zak's Home in the Tri-Cities, Johnson City, Tennessee area.